Beau engaged the semantics tactic. Beaut.one wasn’t buying it. A little background: A few months ago I made a valiant, but obviously unsuccessful, attempt to inject fewer meat-driven menus into my carnivorous brood’s lives. One of my first attempts was a black bean and brown rice ‘burger’. As evidenced by the above conversation, it did not go well. To the defense of the ‘burger’, I did enjoy it and would certainly eat it again, albeit next time alone. 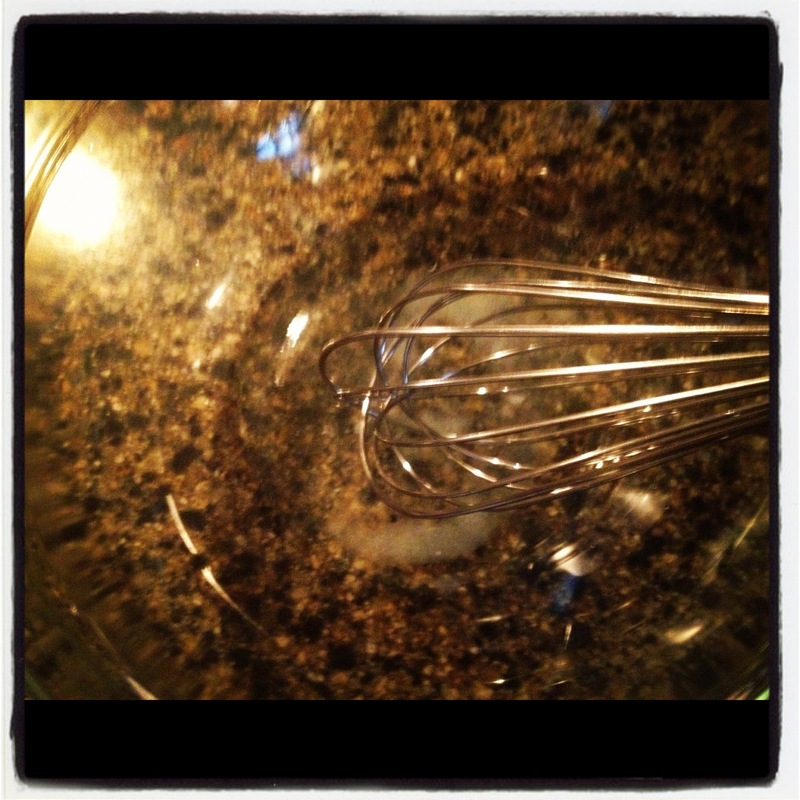 On to Day 2’s black bean and brown rice burger-free menu! 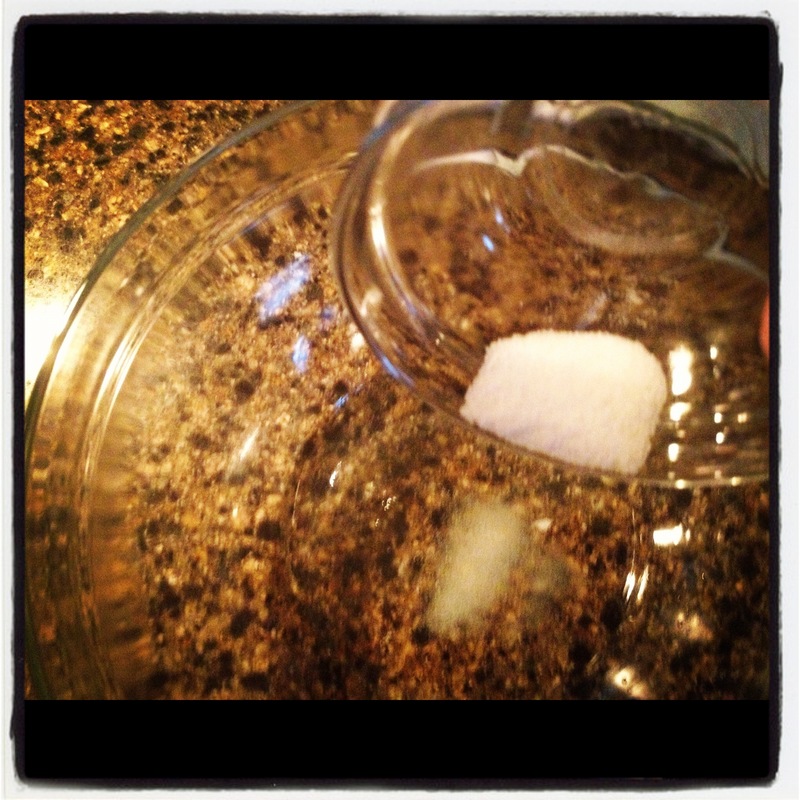 In a medium bowl, add sugar to jalapeno liquid. 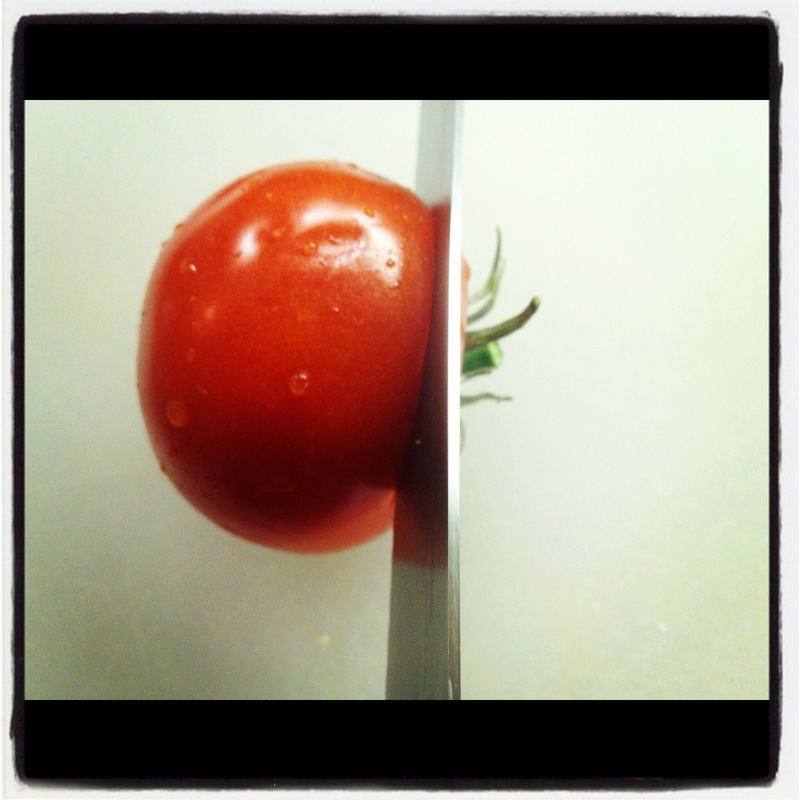 Cut 4 slices of tomato and reserve for burgers. 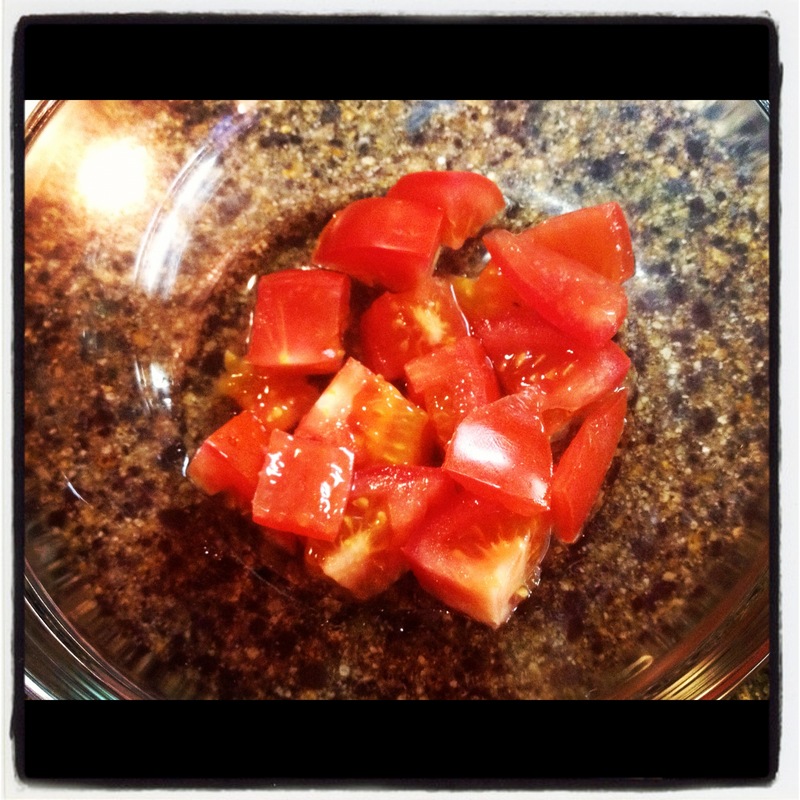 Cut remaining tomato into 3/4 inch pieces and add to dressing. 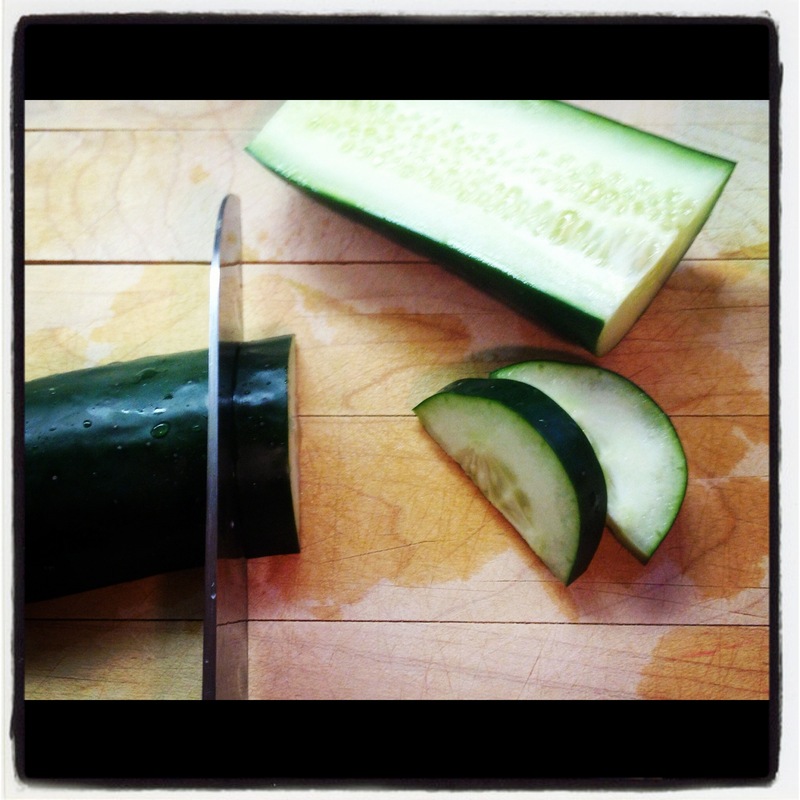 Stir in cucumber and onion. Don’t touch the salad and then your eyes. Just don’t. 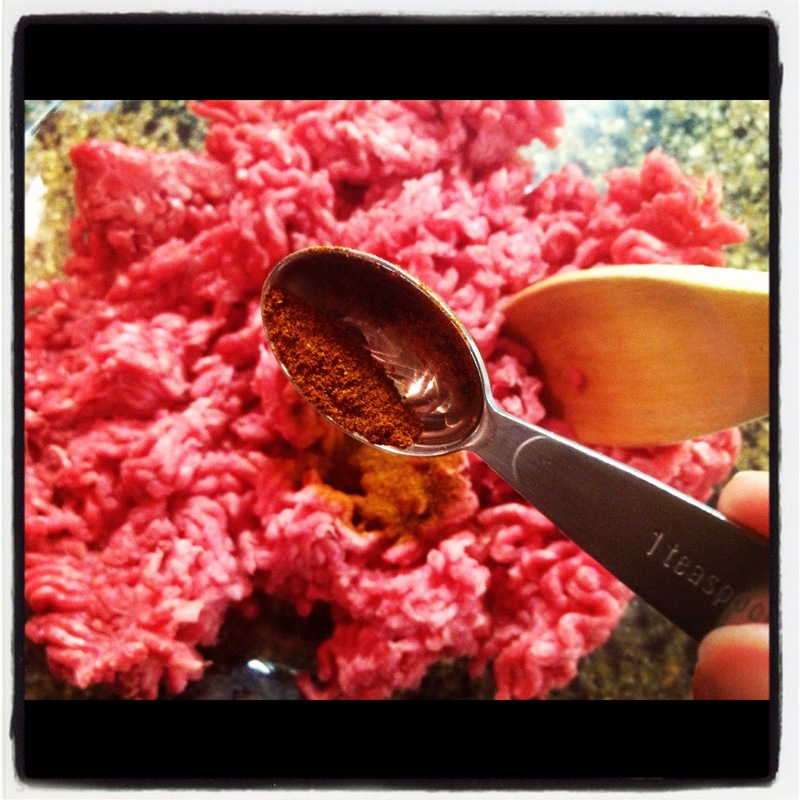 In another medium bowl, combine beef and chili powder. 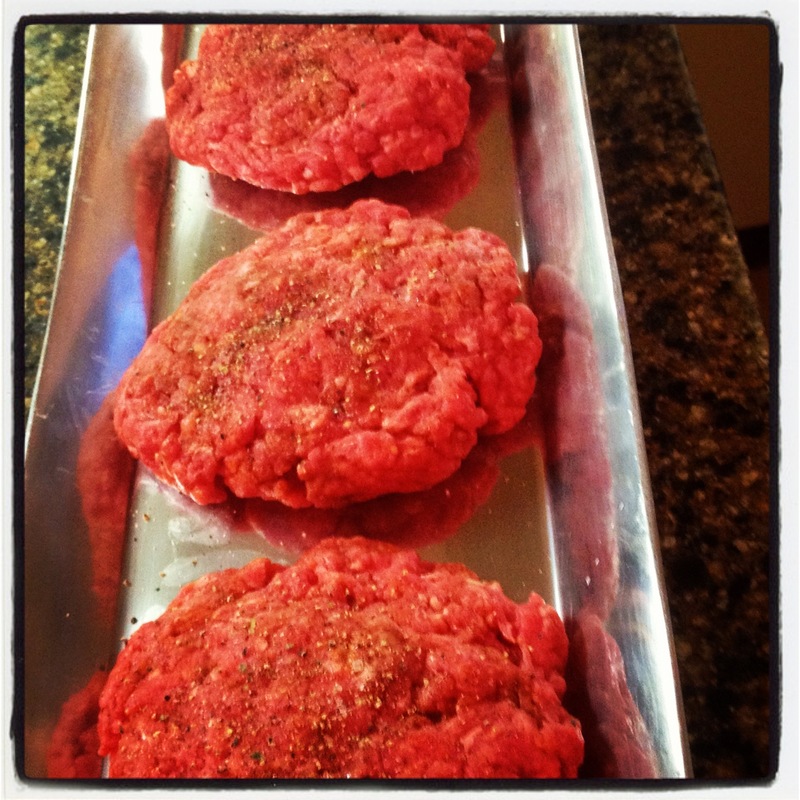 Form into 4 patties and season with salt and pepper. In a large, non-stick skillet, cook burgers over medium heat (the recipe calls for medium-high heat but on my stove I found that to be too hot.) until cooked through, about 8 to 10 minutes total, flipping once. Shred lettuce. 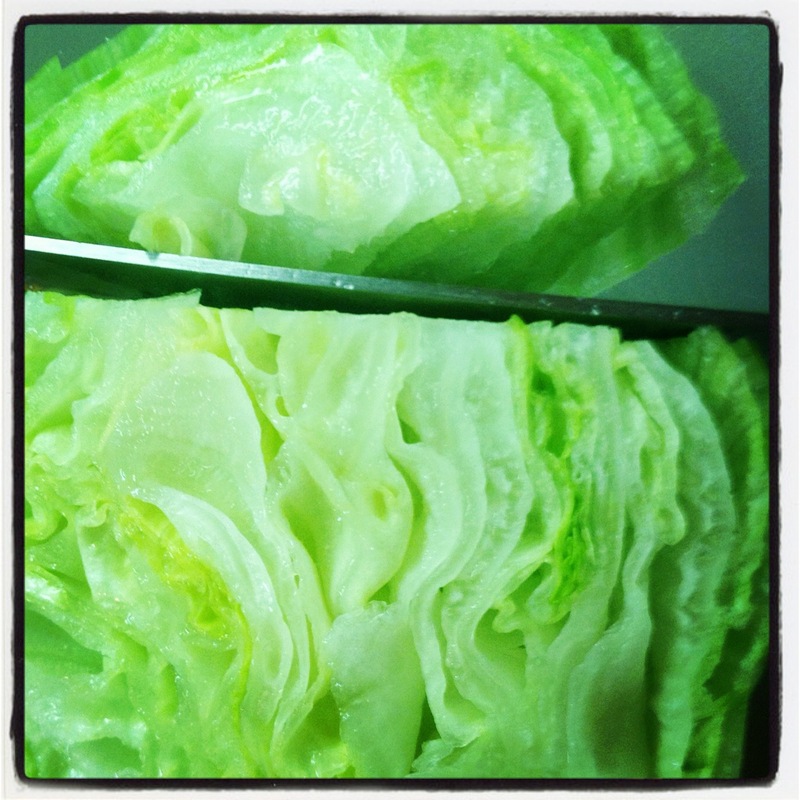 Isn’t lettuce just plain lovely? 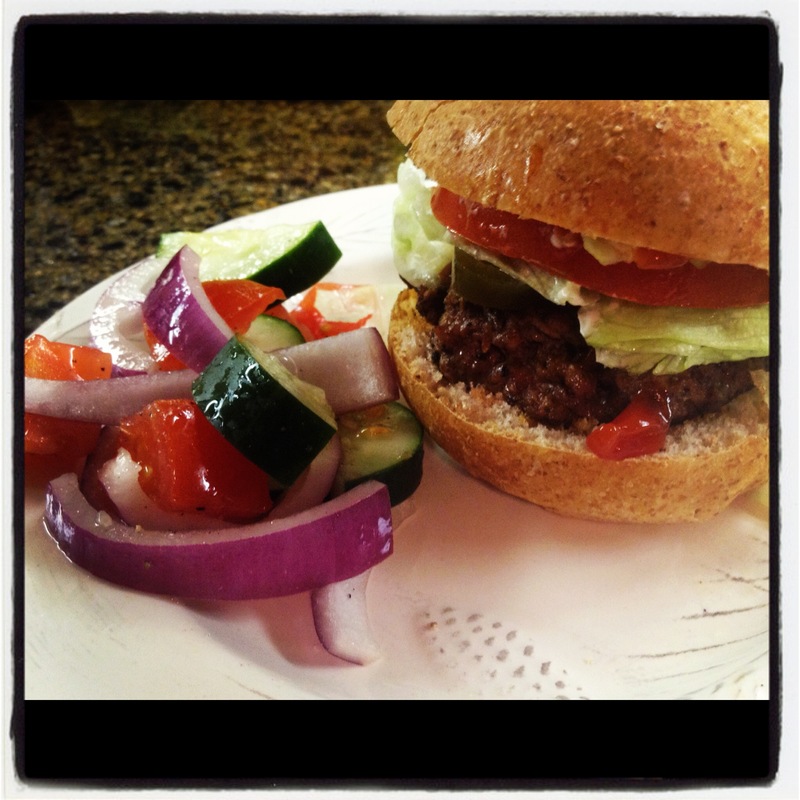 Serve burgers on buns with tomato slices, pickled jalapenos, and shredded lettuce, alongside the cucumber salad. Enjoy! What did my bevy of beauties think of this meal? The taco burger was a winner because, let’s face it, anything would have been better than their last ‘burger’ experience. 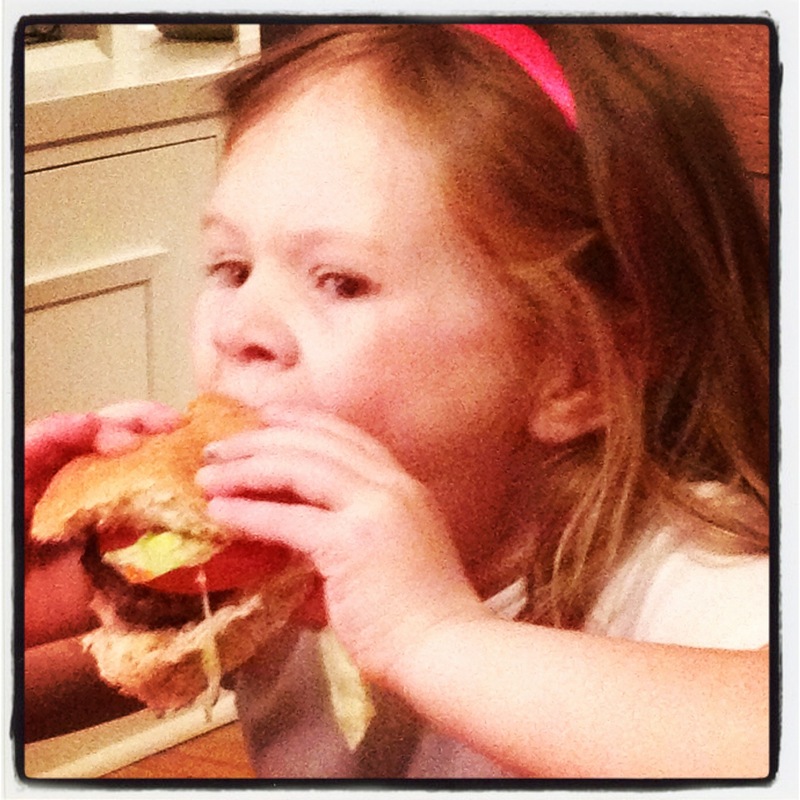 We left the jalapeno peppers off the little ones’ burgers and I only put one sad little one on mine. I am a spicy lightweight. I am sweating just typing the words jalapeno and spicy. I really liked the cucumber salad. 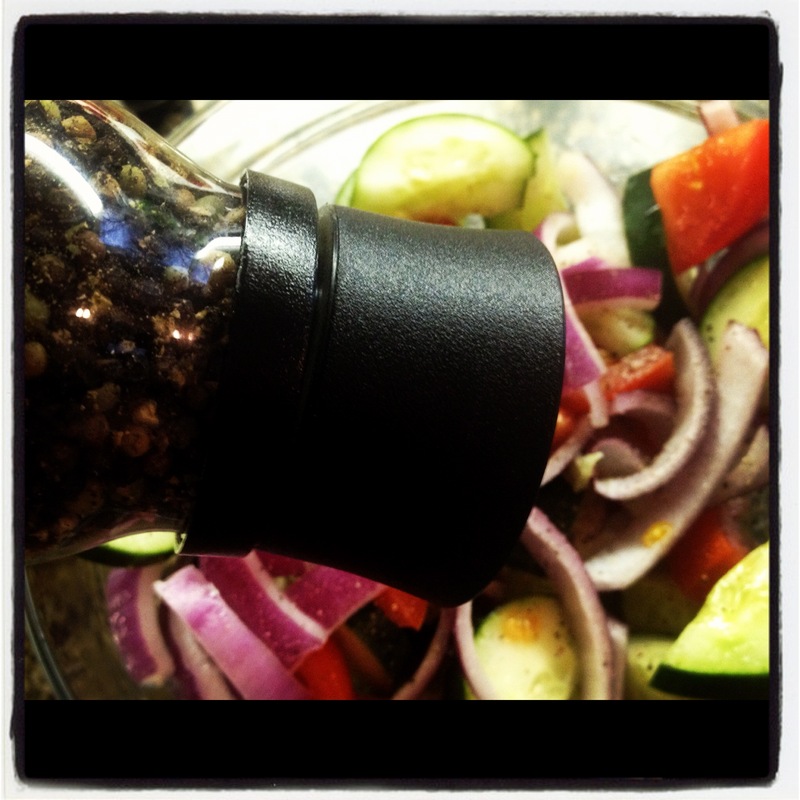 The jalapeno juice dressing gave it a nice kick and anything with vegetables is going to get a thumbs up from me. The only real downside of this quick and easy and affordable meal? Red onion breath. I think it was worth it. Then again, I am the only one who would eat the black bean and brown rice burger again. On second thought you just might want to decide for yourself. 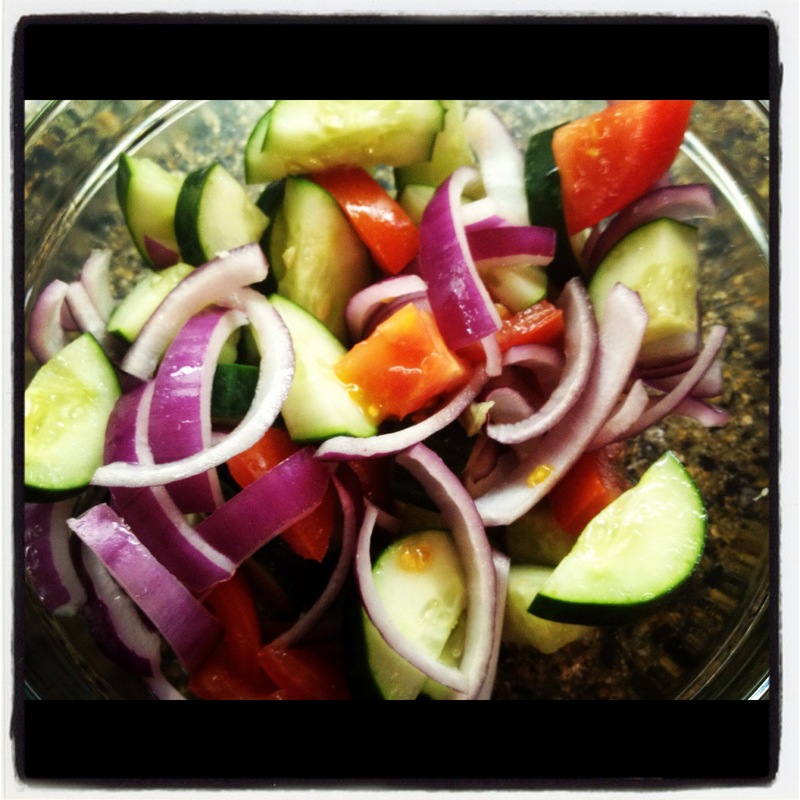 The cucumber salad looks delicious! My new meal planning is freezer cooking. Put 18 meals in the freezer today! I’m saving time and money (hopefully)! Oh, that’s a great idea! And I do have an extra freezer…hmm. Thanks for stopping by!